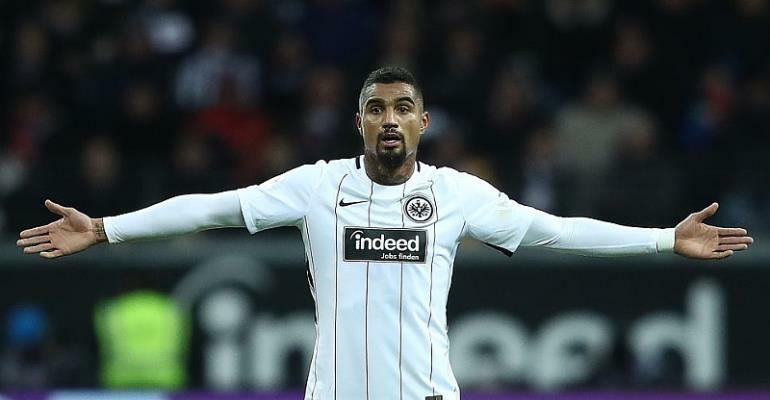 German side Eintracht Frankfurt have been massively boosted by the news that their Ghana midfielder Kevin-Prince Boateng is available for them this weekend after suspension. The Ghanaian is available for Eintracht Frankfurt on Saturday as face Hannover in the crucial Bundesliga clash. With Boateng serving a mandatory one-match ban, Frankfurt fell to a 1-0 defeat at Stuttgart last weekend so his presence this weekend is crucial. The talismanic midfielder is available for the visit of Hannover, though, and is set to start at the expense of Mijat Gacinovic. Luka Jovic is an option, should head coach Niko Kovac decide to rest leading scorer Sebastien Haller, who hasn't found the net in his last five Bundesliga outings. As he did against Stuttgart, Mexico international midfielder Marco Fabian will likely have to settle for a place on the bench.